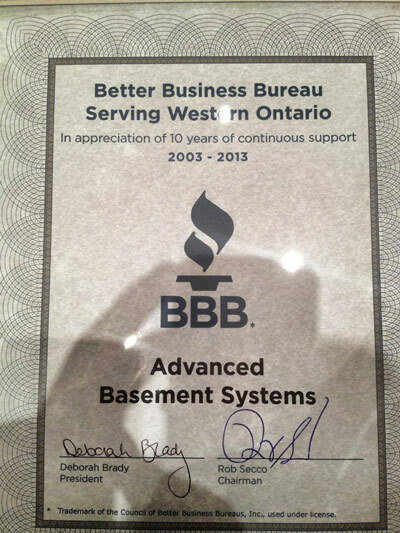 Advanced Basement Systems is the authorized Basement Systems dealer in Southwestern Ontario, Canada. Owned and operated by Martin Bates and his family, Advanced Basement Systems is your local source for wet basement, crawl space, and foundation repairs. 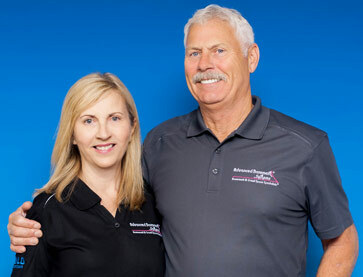 Martin and his wife Julie founded Advanced Basement Systems in 2003. Over the past 10 years it has grown to over 30 employees dedicated to keeping basements and crawl spaces dry and healthy for southwestern Ontario homeowners. Martin and Julie love what they do. But when they have some time off, they enjoy spending time with family, riding Martin's motorcycle or simply walking the dog. 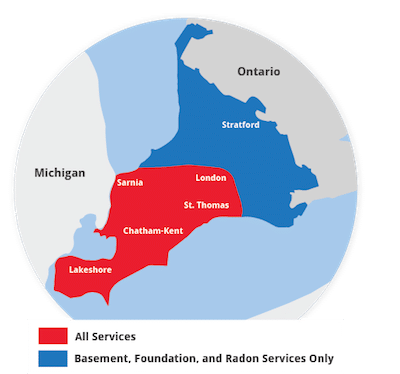 Advanced Basement Systems is your local basement waterproofing contractor, radon testing and mitigation, crawl space encapsulation contractor servicing southwestern Ontario, Canada, including Chatham, Windsor, London and many nearby areas in ON. Not sure if we come to your town? Give us a call! We offer Free basement & crawl space repair quotes. Call or e-mail us today to fix your foundation, crawlspace, radon problem, basement! Advanced Basement Systems is a proud member of the Canadian Federation of Independent Business (CFIB). The CFIB is a Federation that has been the big voice for small Canadian businesses for over 35 years. With 105,000 businesses spreading from coast to coast forming its ranks, they stand for free enterprise, small business, and defending the entrepreneurial spirit. 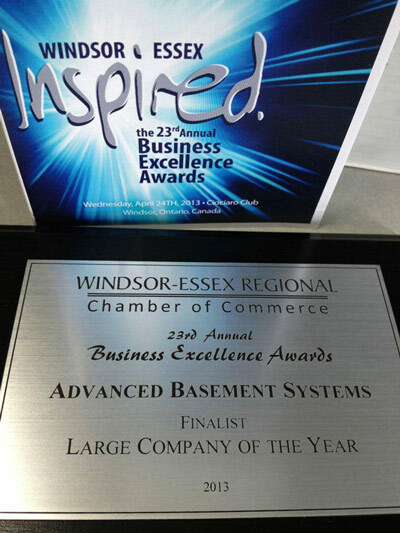 Advanced Basement Systems is a top dealer in Canada and part of the Basement Systems network of more than 300 basement waterproofing and crawl space encapsulation contractors in Canada, the U.S., the U.K. and Ireland. 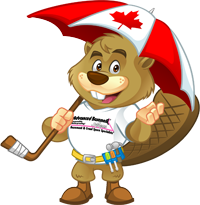 For a free basement waterproofing estimate in Ontario, Canada or a free crawl space waterproofing estimate, contact us today! 8/9/14 - The story of Advanced Basement Systems and how they can help you fix your home.